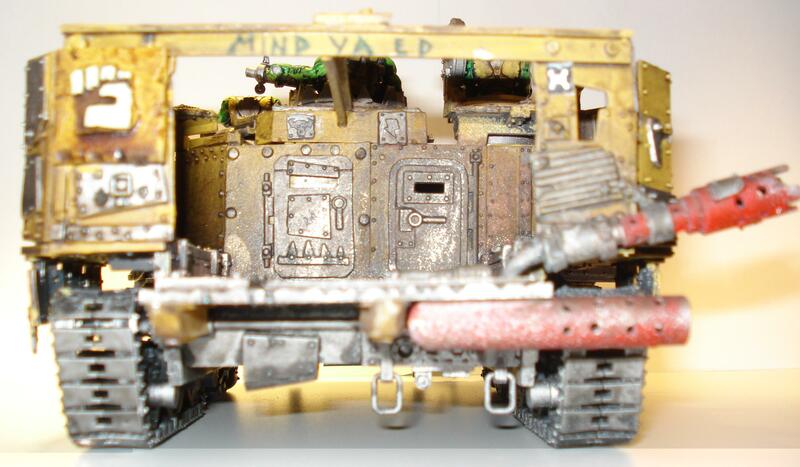 Scratch built by one of our customers. 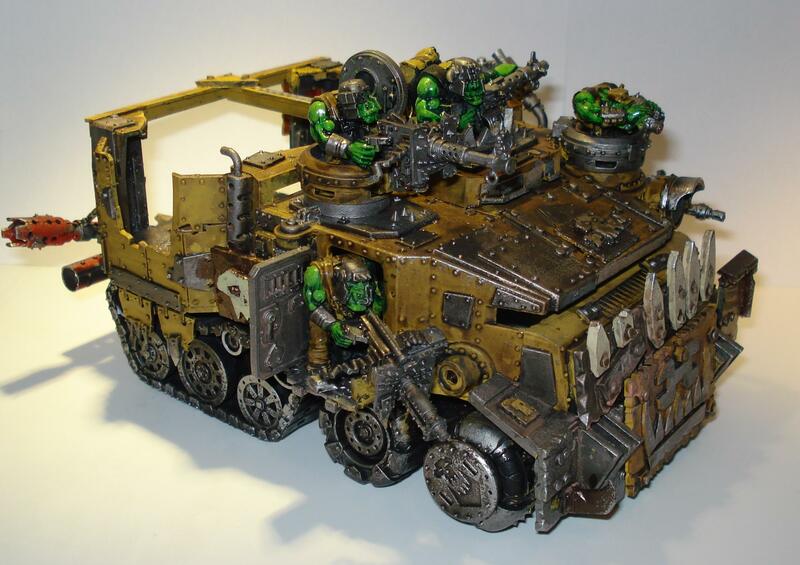 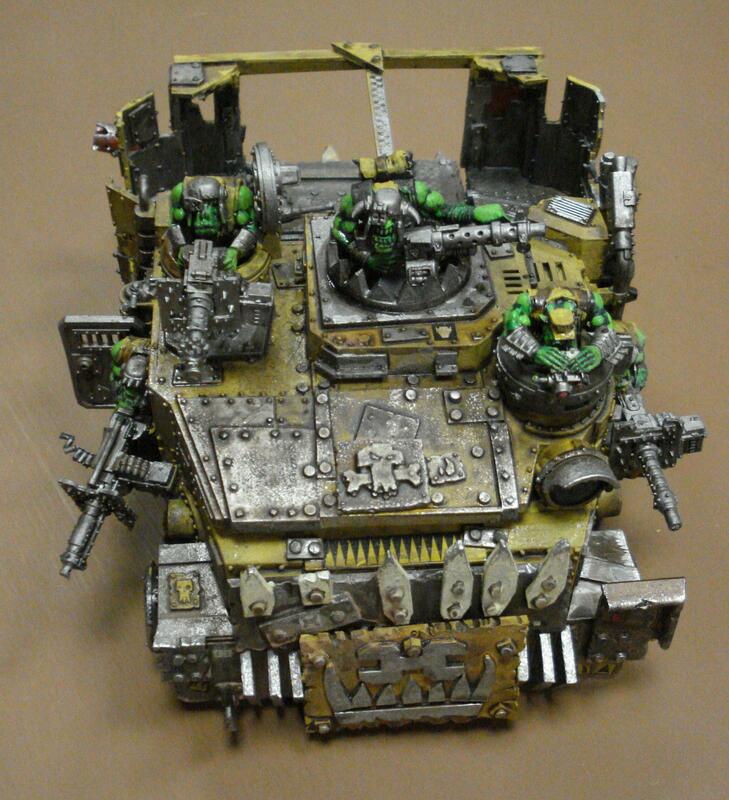 He has taken an Ork Battlewagon chopped it in half and widen the body, then stuck on a load of armour plate. 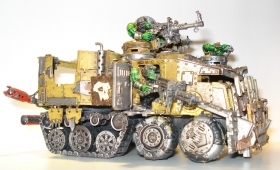 If you like this you should see his Orc Mega Deff Dread!